In less than a month, my country will observe an unusual, and shameful, anniversary: the 21st year of the ban in India on Salman Rushdie’s The Satanic Verses. In these 21 years, the author has experienced exile, had a fatwa pronounced on him, gone into hiding, had his book burned in several countries. Short of death, if there’s a price to be paid for writing a controversial book, Salman Rushdie has paid it. But while the Satanic Verses controversy has remained alive in people’s memories, we haven’t yet had a serious debate, citizens-to-state, on a key question: should the ban on the Satanic Verses be challenged and lifted today? A little background, first. 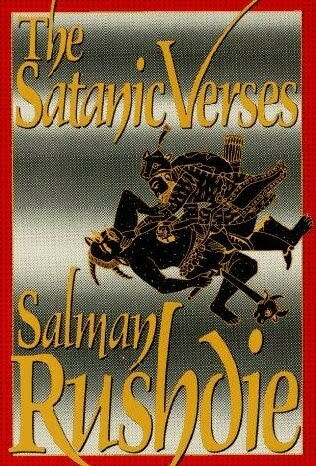 The Satanic Verses was published on September 26, 1988 by Viking in the UK. In the same week, it was nominated for the Booker Prize, though it eventually lost out to Peter Carey’s Oscar and Lucinda. On October 5, the Indian government banned all imports of the book under the Customs Act, after two MPs went to Rajiv Gandhi and said that the Verses would create a law-and-order situation. Rushdie, and many of the early reviewers of the Satanic Verses, maintain that his critics have misread the book. The book’s two protagonists, Gibreel Farishta and Saladdin Chamcha, are engaged in trying to make sense of alienation, migration and belonging, more than faith and belief. The key section of the book that continues to provoke offence today is a dream-sequence emanating out of the disturbed mind of Gibreel Farishta, about an imaginary country built of sand where an imaginary prophet, Mahound, examines the “satanic verses” from the Koran. There is little doubt that the book continues to offend Muslims, and stirs up a debate among non-Muslims on the subject of whether authors should have absolute freedom to criticise and examine religion and religious figures— even if they’re doing it through the medium of fiction or allegory. To state this even more bluntly, there is little doubt that Rushdie had caused offence. The question is whether it’s a crime— punishable by censorship, book banning, fatwas or other means— to cause offence. Publisher and writer Urvashi Butalia puts it very well when she says that writers are bound by the consequences of their writing and must expect dissent (though not death threats)— but that, if an ordinary citizen were to challenge the ban on Satanic Verses today, she would support that action. Free speech activists point out that you have the right to hold unpopular and unorthodox views— and that the corollary to having free speech is the need to respect the rights of others to their opinions. Asking for the ban on Satanic Verses to be lifted after these 21 years isn’t an option. It’s a duty for anyone who cares about their own right to free speech. How practical is the lifting of the ban on the Verses today? The fear expressed by ministry officials in 1988 was not that the book itself was inflammatory— it was that passages from the book might be misused by other forces. You might want to ask the Indian state whether it has learned nothing of how to protect itself against these other forces in the last 20 years. One aim of lifting the ban would be, eventually, to put the Satanic Verses back into stores, and let people make up their own minds on the book— through indifference, through their interest, through debate or dissent. It is possible that, if a legal action was successful and the ban was lifted, publishers and bookshops would still be wary of publishing or carrying the books. But overturning the ban would be the first step to doing something we haven’t done so far, that is bigger than any one book or any one author— protecting our right as Indians to free speech. What happened 21 years ago pushed us in the direction of becoming more fearful, more regressive; and surely two decades is enough time for us to undo this old injustice.